I’m so excited to spend some quality time with my family tomorrow and enjoy an Easter feast! Not known to be the best cook in the family, I’m always responsible for setting the table. 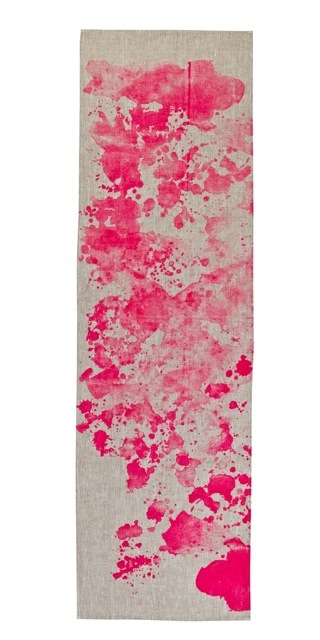 This table runner has an abstract print that gives it a modern feel, but the burlap base keeps it looking rustic. 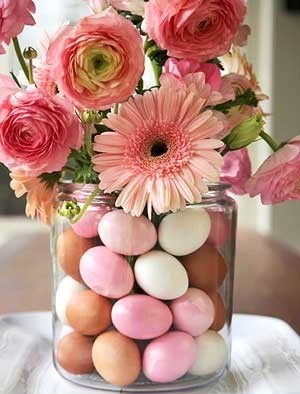 Something about Easter always makes me want to combine pink and blue. 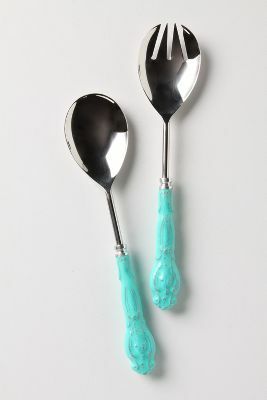 These blue serving utensils will look lovely popped against the pink in the table runner! 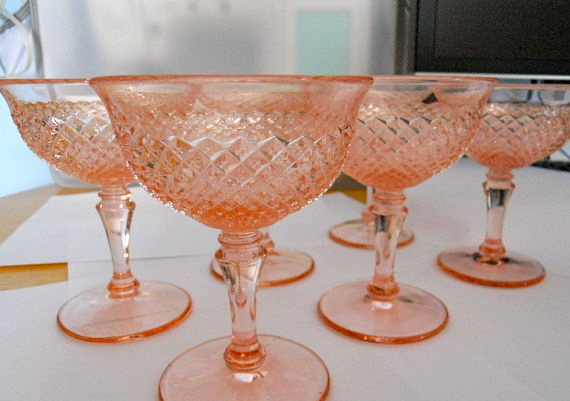 Keeping with the vintage/rustic theme… I absolutely LOVE this pink waffle depression glass stemware! How great is this dinnerware? It definitely helps to tie in the pink and blue color scheme.